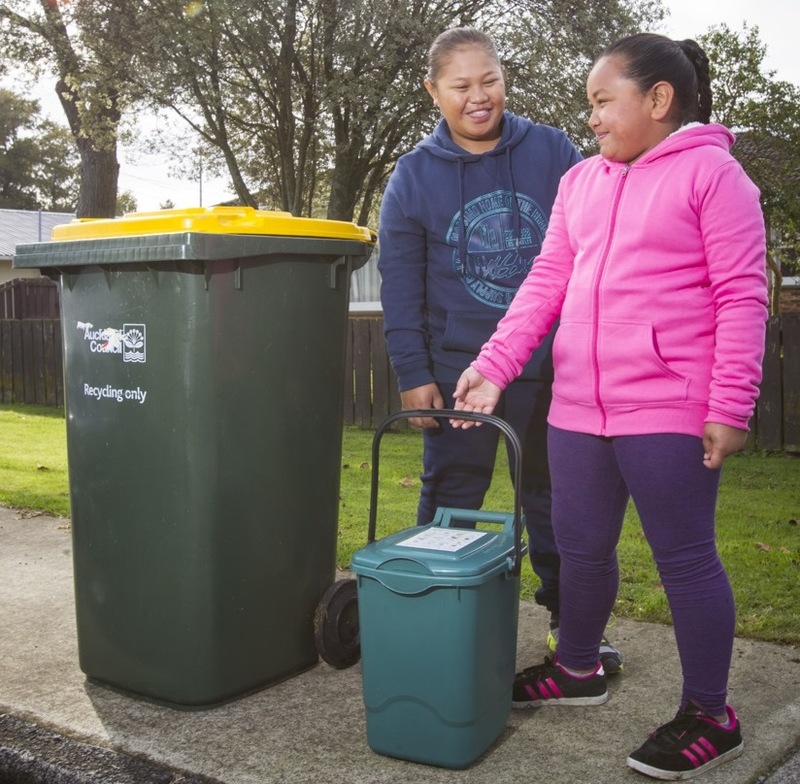 Auckland’s new food scraps collection service has been introduced in Papakura and will be rolled out across urban Auckland by 2021. The food scraps bin completes Auckland Council’s three-bin kerbside service which will help Aucklanders reduce household waste and save money on rubbish disposal. The new food scraps service will be funded by a new targeted rate of $67 a year, which will only apply where the service is available, starting with Papakura. Papakura residents will see a food scraps charge on their rates notice in August 2018. What is the food targeted rate? 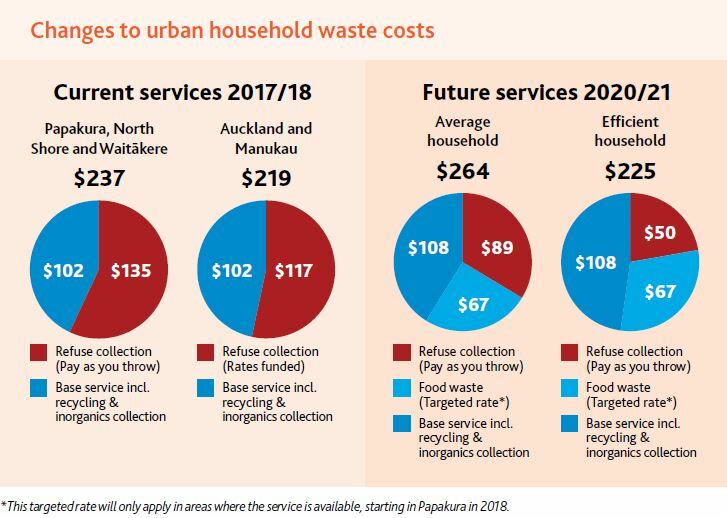 As part of Auckland Council’s 10-year Budget consultation, it was agreed to fund the kerbside collection of food scraps through a new targeted rate of $67 for households in urban areas. The targeted rate is based on an Auckland-wide food scraps collection and processing service and the economies of scale that will deliver value to the ratepayer. A set targeted rate is preferred over a user-pays system because of economies of scale required to introduce an Auckland-wide service and to deliver the best value to our ratepayers. The charge per household per year complements the user-pays refuse collection service (‘pay-as-you-throw’) which will be introduced across the region at the same time as the food scraps collection service. Councillor Penny Hulse, Chair of the Environment & Community Committee, says recycling food scraps will significantly reduce household waste. Why does Auckland need a food scraps service? We have a massive opportunity to reuse the food we waste – each year we throw out 90,000 tonnes of food in our rubbish bins which goes directly to landfill. A food scraps bin, collected weekly from your kerbside, will recover your household food scraps so they won’t be wasted. Food scraps are a valuable resource, we will collect your food scraps for beneficial use, for example, process it into compost or fertiliser to re-nourish our soil. Energy that can be turned into electricity can also be created from this process. Papakura’s food scraps collection service is paving the way for the rest of Auckland – in the first month of the new service, over 70 tonnes of food scraps were recovered and sent to composting processing plants to be put to good use. Visit makethemostofwaste.co.nz to find out more about the three-bin service.